Discussion in 'Pin Trading' started by Haunted575, Sep 1, 2018. I didn’t see a thread for this yet. Wanting to trade the 2018 Food and Wine Mystery Pins. I bought three extra boxes, they all had Tiana and Ratatouille, it was pretty funny, but only because I still managed 9 out of the 10 pins. It would have been annoying if I was farther away from the set. Can I see the set? Here are the two I have for trade. Oh!!! These are so cute!!!!! Very! I added the set to PTDB already and am slowly adding the F&W pins there. I still need to add the MNSSHP ones too. If anyone gets a spare Alice, let me know! Those are super cute! I'll have to partake when I get to F&W next weekend. Have multiple Tiana and Dopey. Need everything else since all the boxes were the same. Well as you may have seen in the mail thread, I have 5,000 spare Alices. bcol, MommaIvy and Haunted575 like this. If Haunted575 trades you for 4999 of them I may want the other one. lol I'm waiting to hear from someone going to F&W this weekend if they got an Alice or if I am in need! I can totally envision one board with 4999 of the same Alice pin! I managed to trade for one thanks to @speedwaystar1 so I am set for Alice. Jabberwocky and cadien like this. 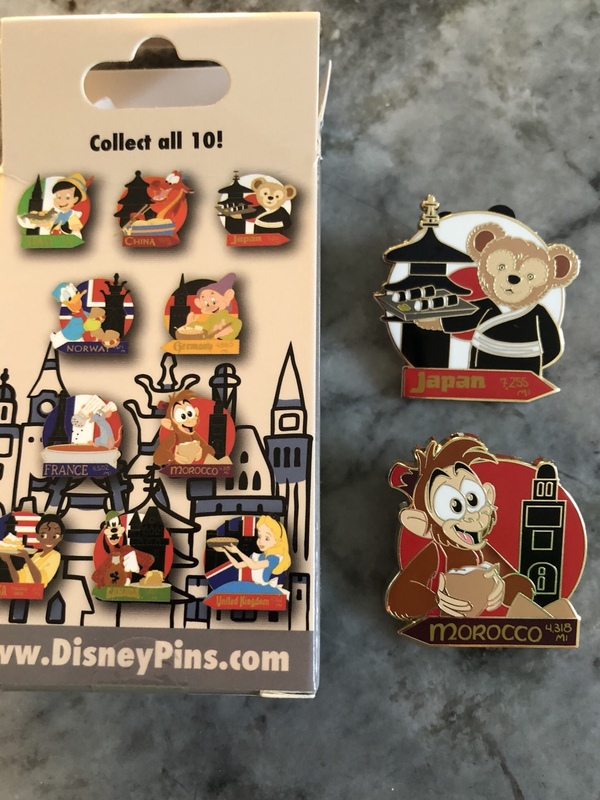 Need: France, Japan, Morocco and Pinochio. I was at food and wine this weekend and was looking for these sets and they told me they were sold out. Sooooo I’m looking for a Remy. It’s for my cousin. I’m not sure which ones she has but I think she has Pinocchio and another one maybe?! Or I have other traders if you have one and are willing to part with it! I have Remy and I need Pinocchio. Or if she doesn't have one to trade, I can look at your traders. Perfect!!! Let me ask her! Ok I was totally wrong she has Japan she said, however my pinpics is also khossler if you want to look their? I’m trying to get it updated tonight when I get home. I wish PinPics would get them loaded already.